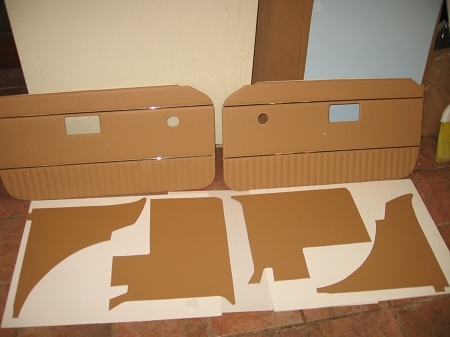 Brand New Biscuit interior panel kit for MGB Roadster. These have the plastic chrome strip as original from 1972-1976 but fit all years from 1970-1980. Kit has 6 Pieces as shown. These are very well made in the UK and are as good as the originals. We have seat covers, and door cap panels, and carpet available from the same UK factory in the same color for a perfect color match.